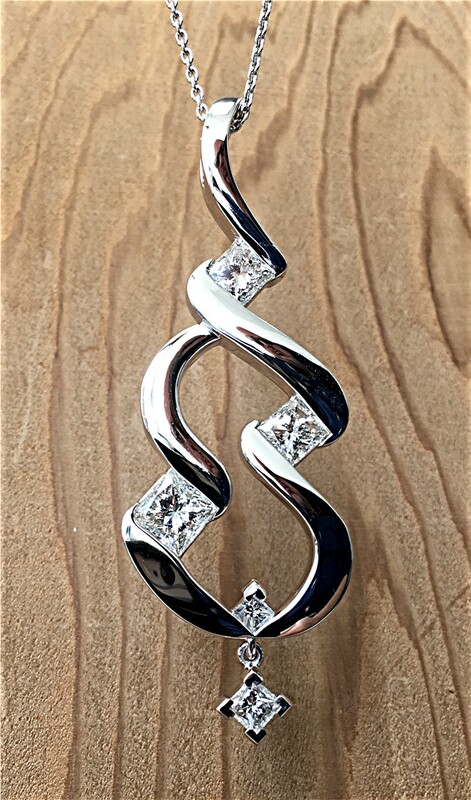 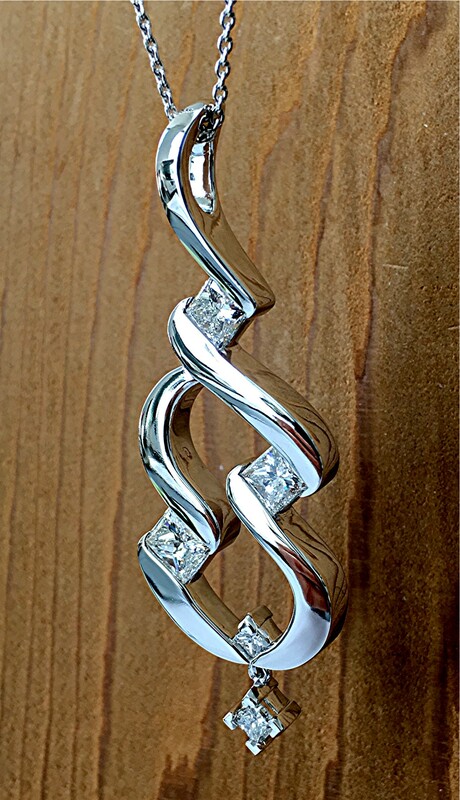 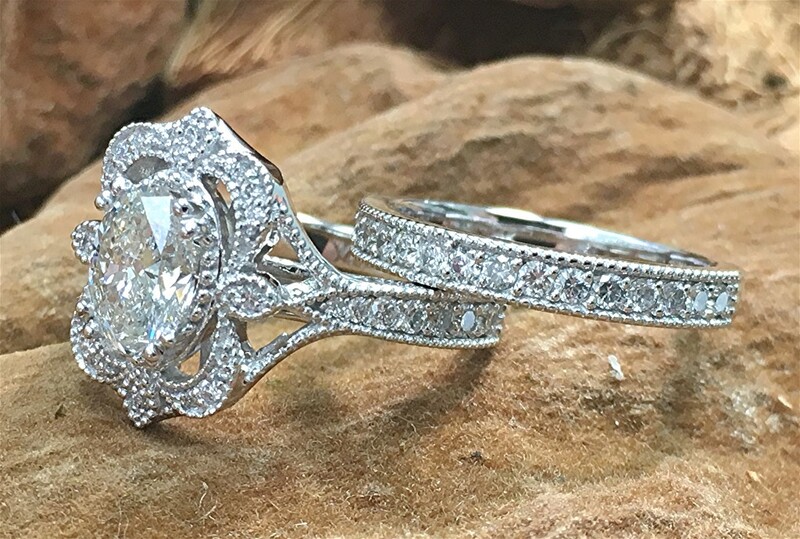 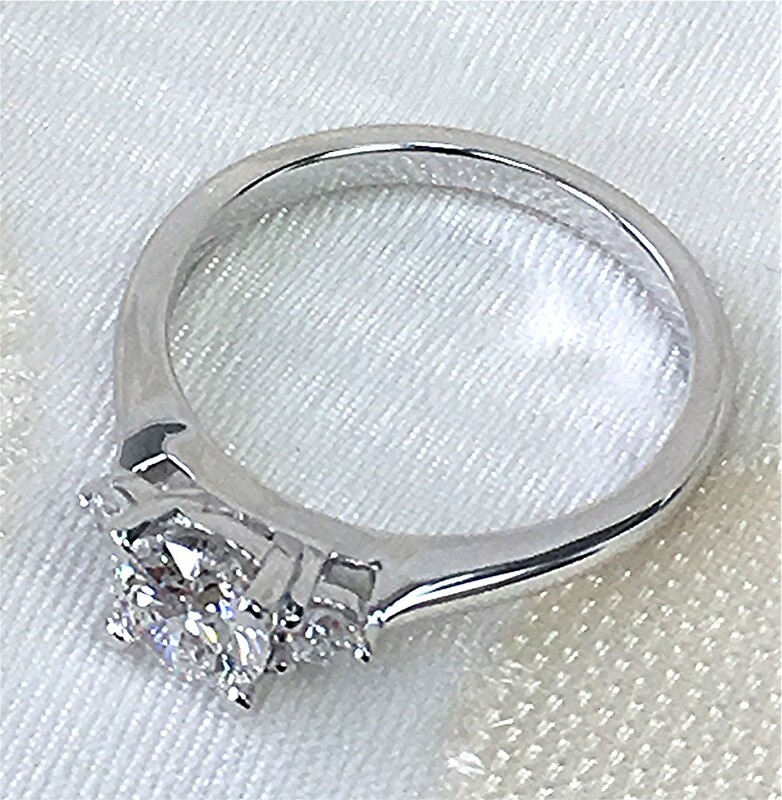 Center stone is 1.11 carat princess cut diamond with six RBC diamond hammer set on sides with scroll design. 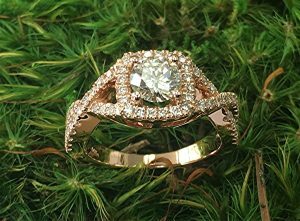 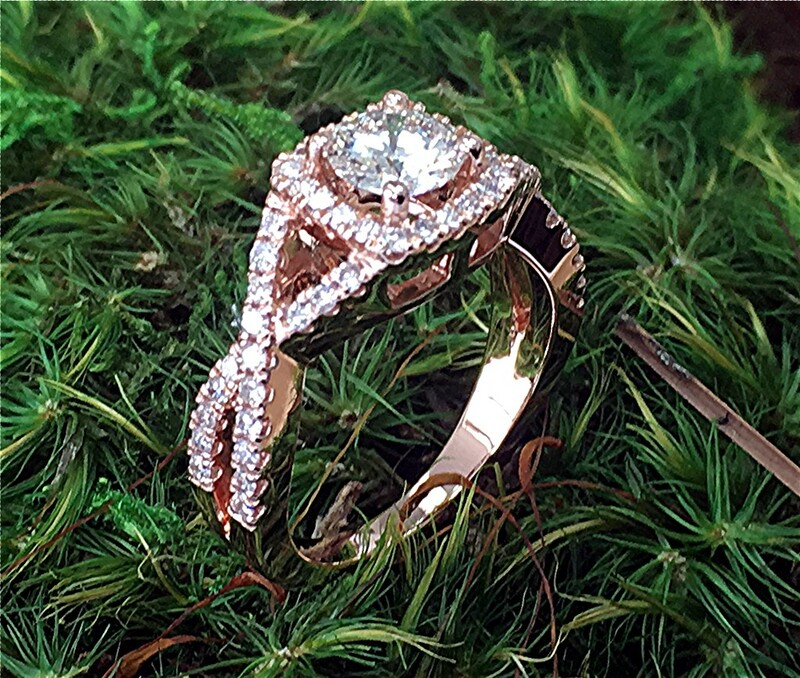 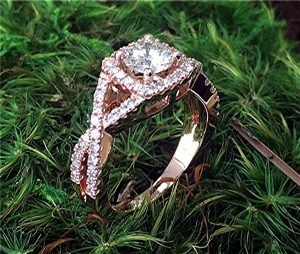 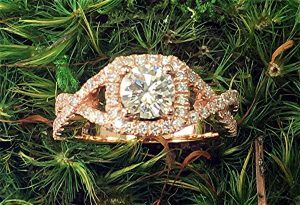 Center stone is customer’s old 0.70 ct. diamonds mounted on 14k rose gold ring with 56 round brilliant cut diamonds micro U set totaling 0.55ct. 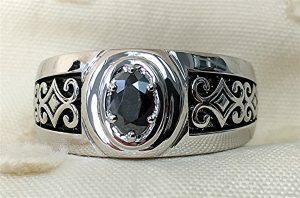 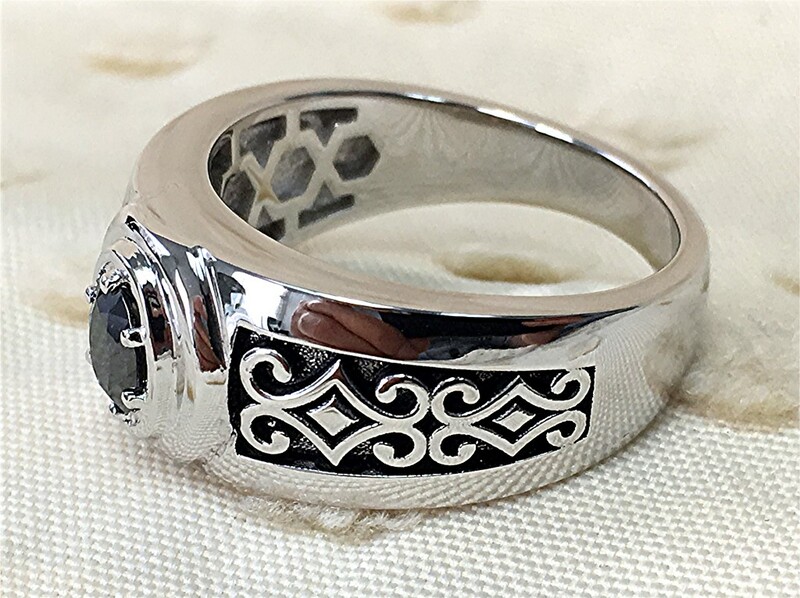 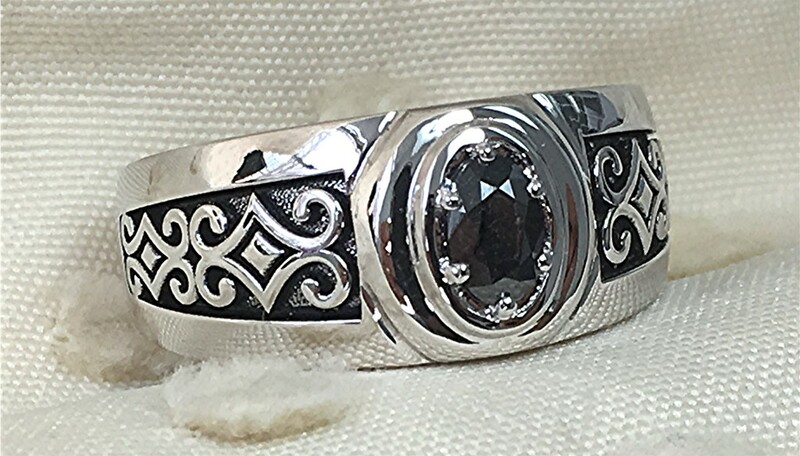 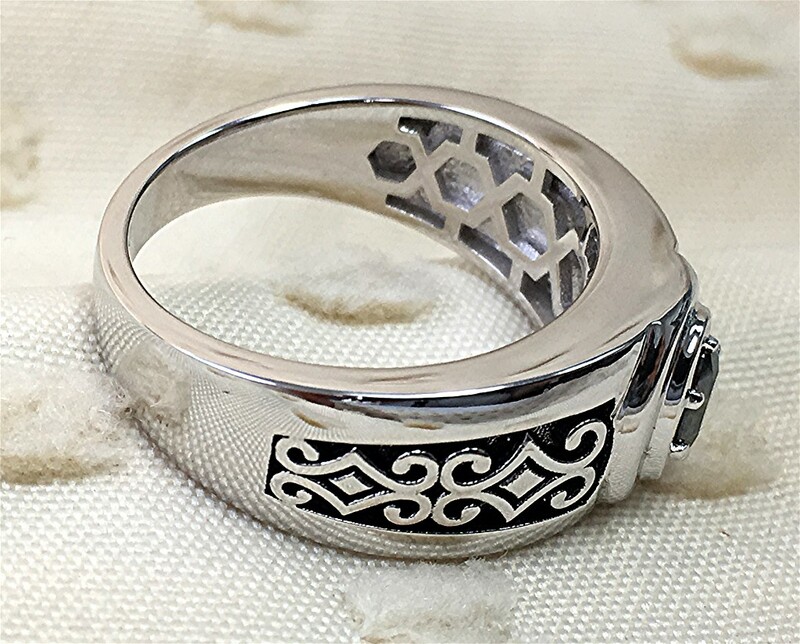 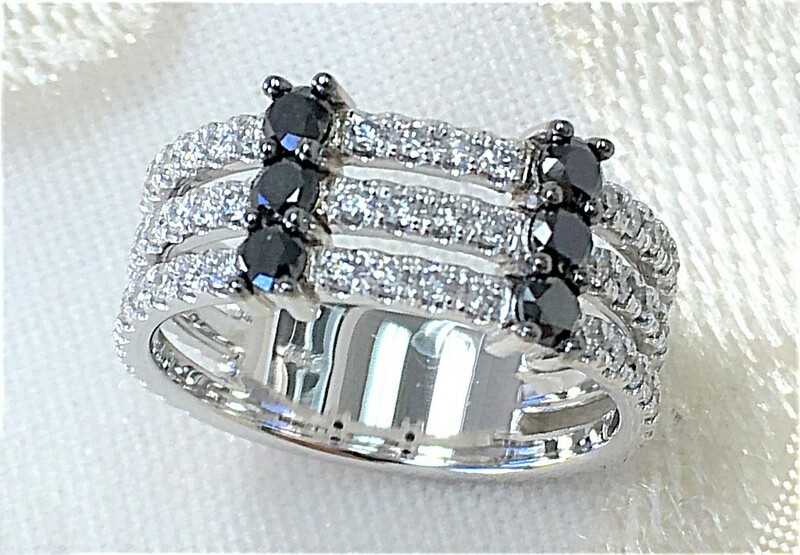 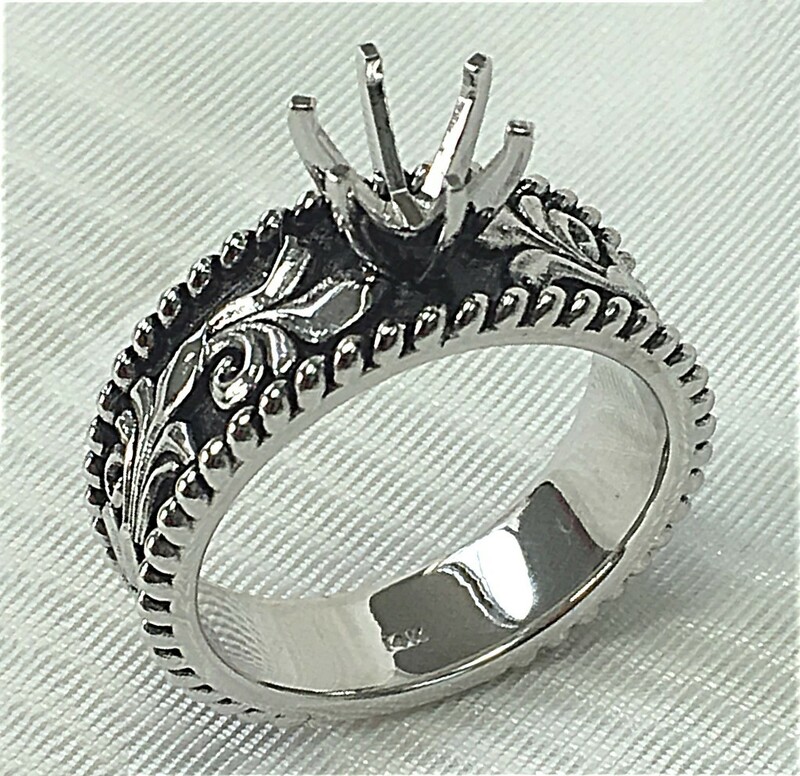 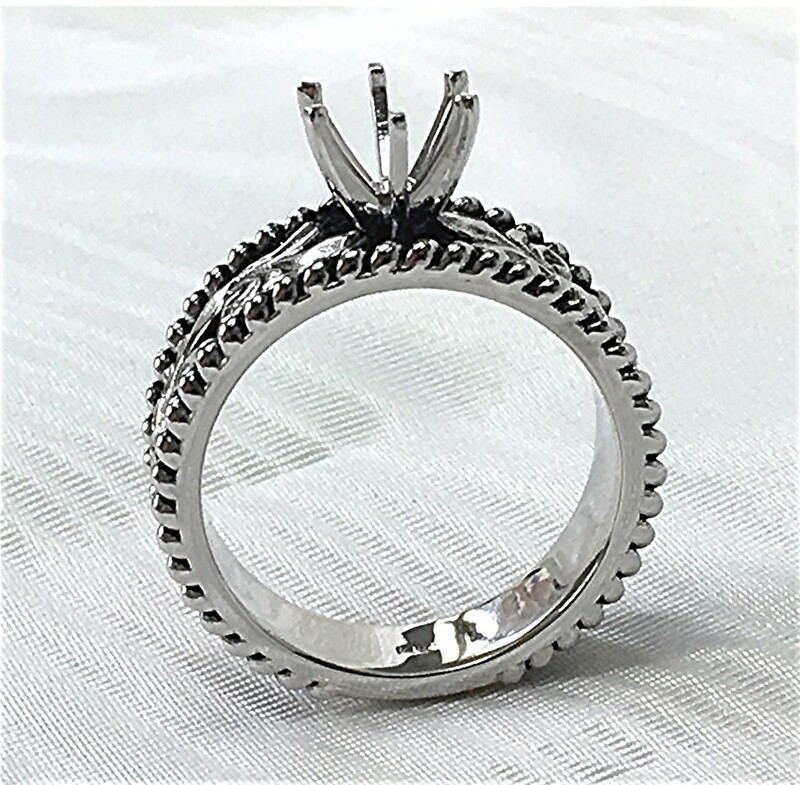 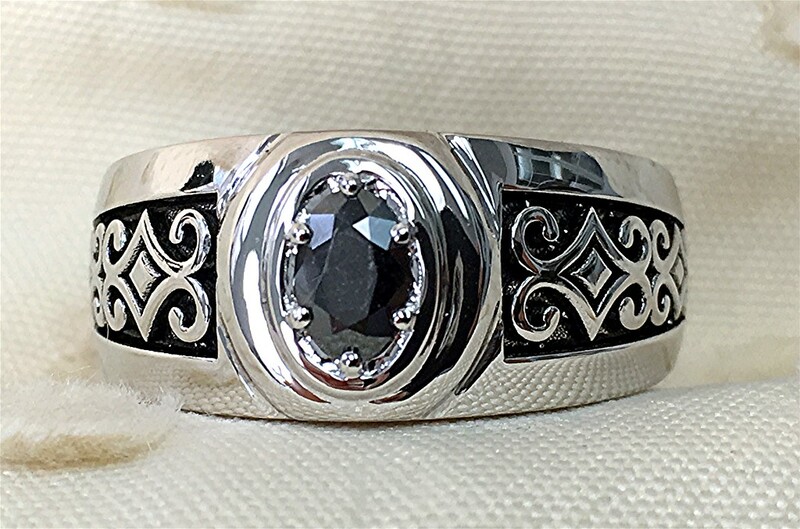 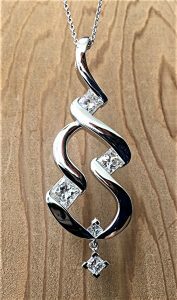 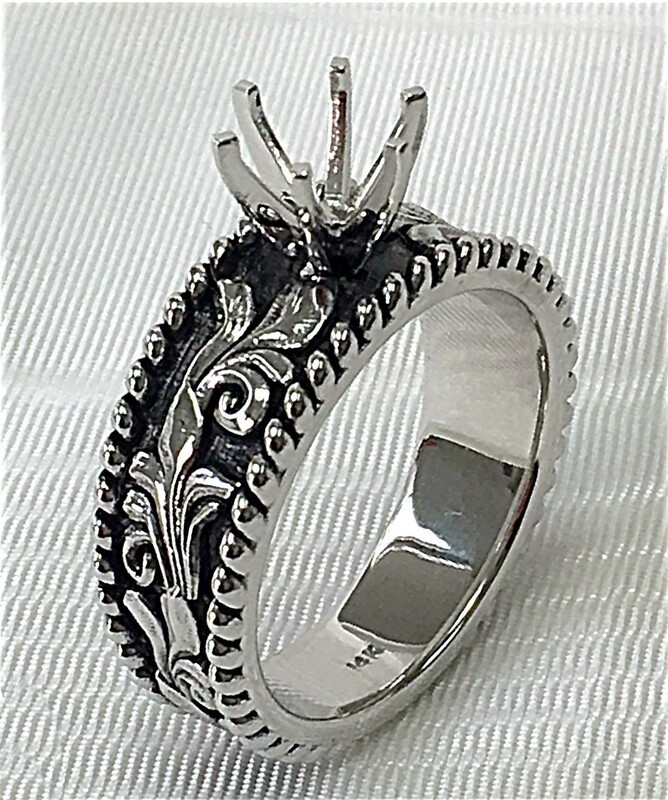 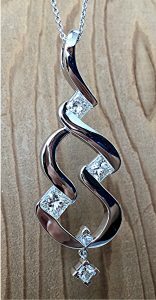 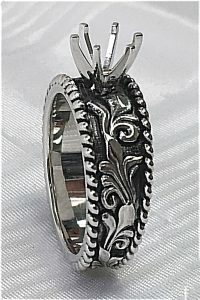 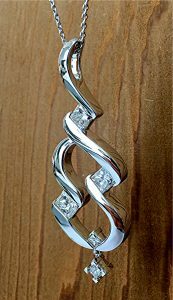 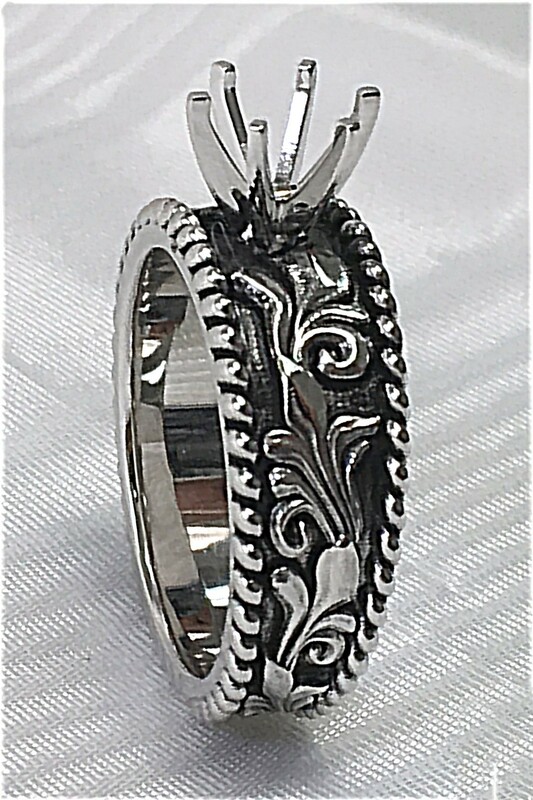 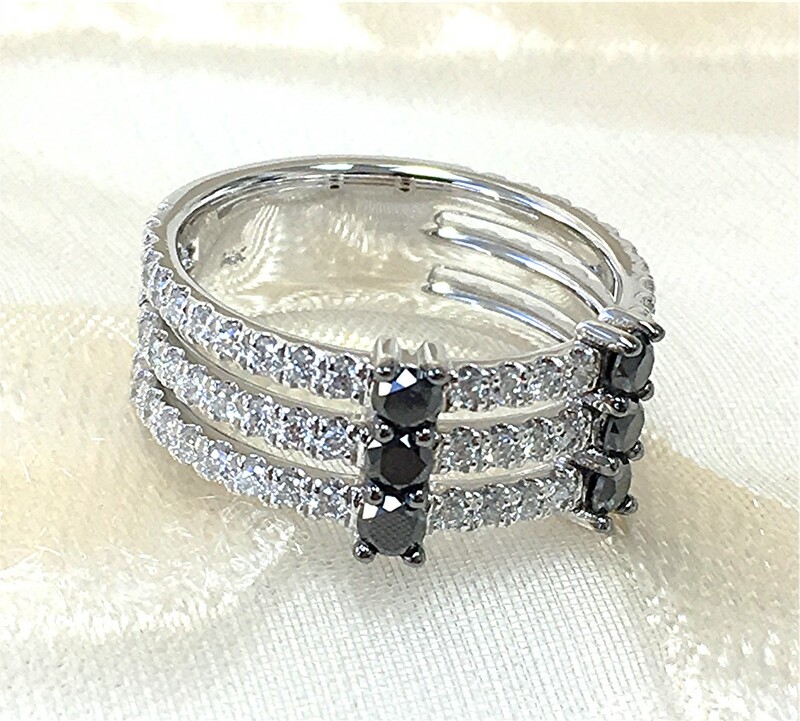 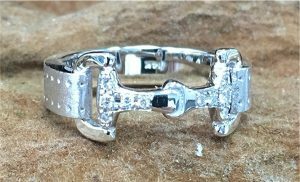 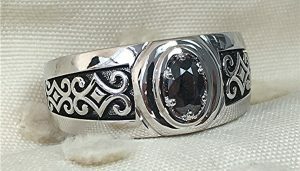 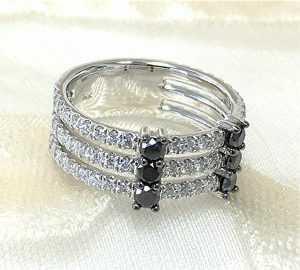 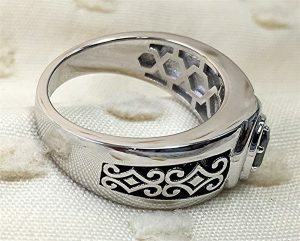 14k white gold with 0.74 carat micro U set white diamonds and 0.44 carat, prong set, black diamond. 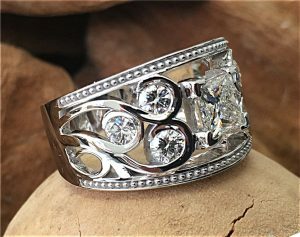 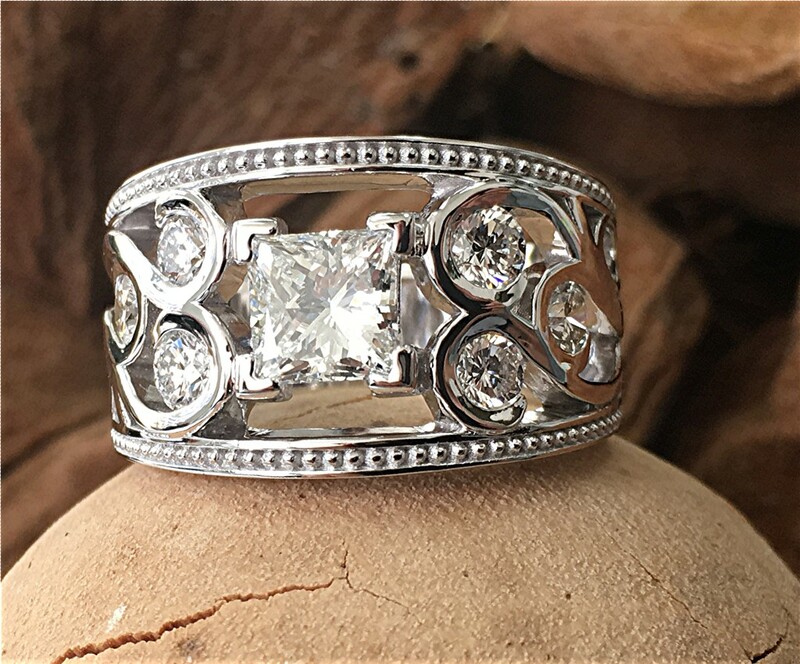 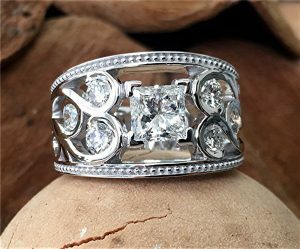 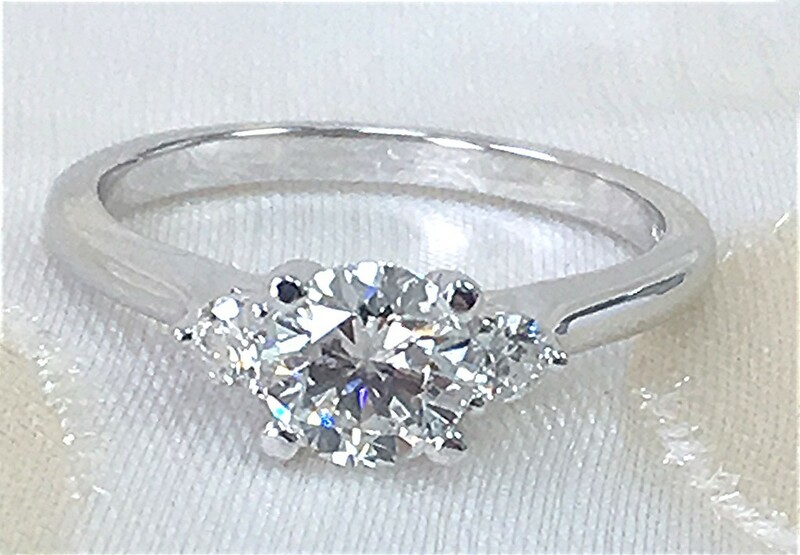 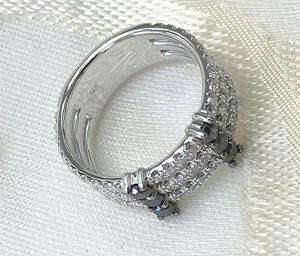 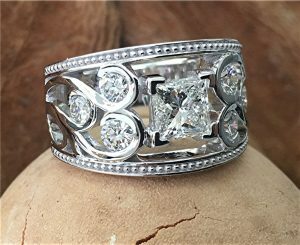 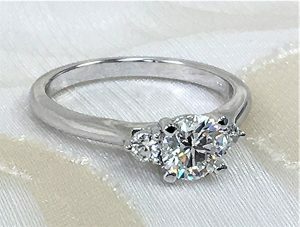 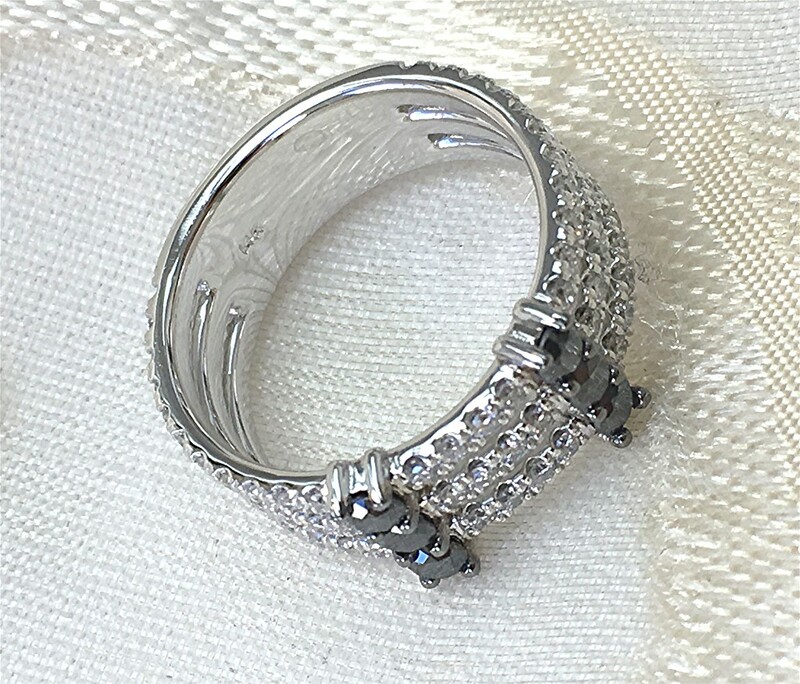 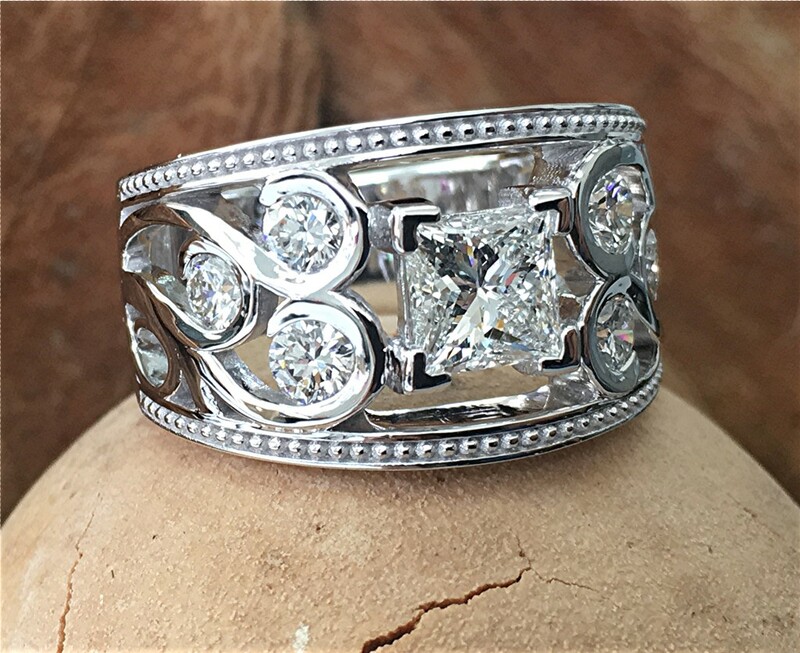 14k white gold ring 5.7mm center and two 2.5mm round sides brilliant cut diamonds. 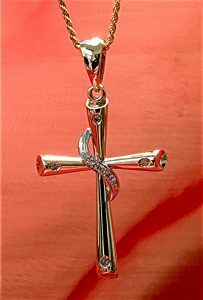 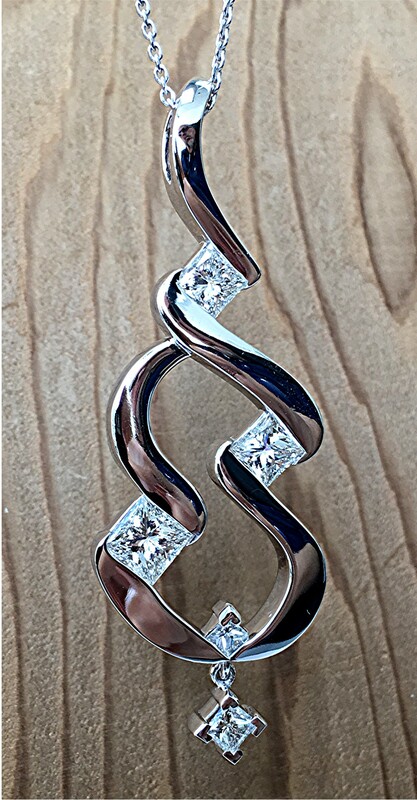 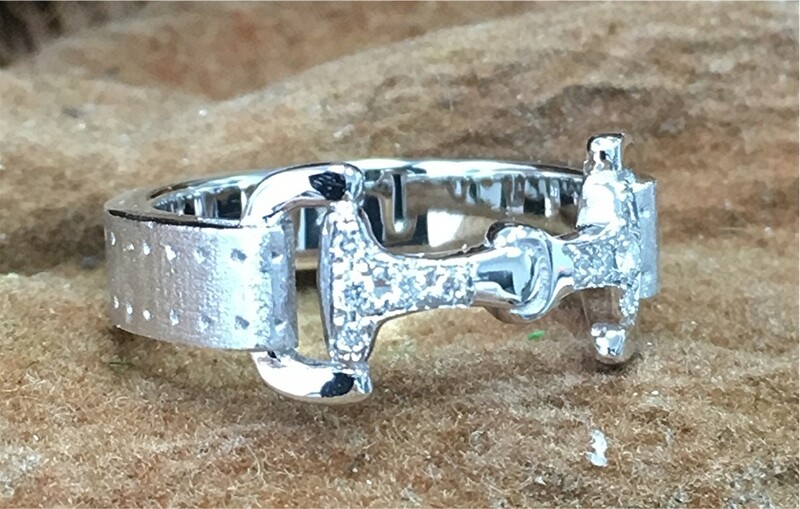 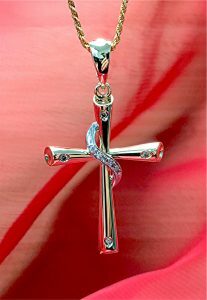 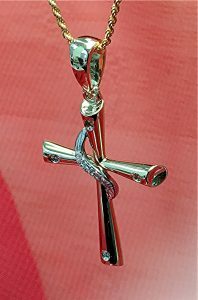 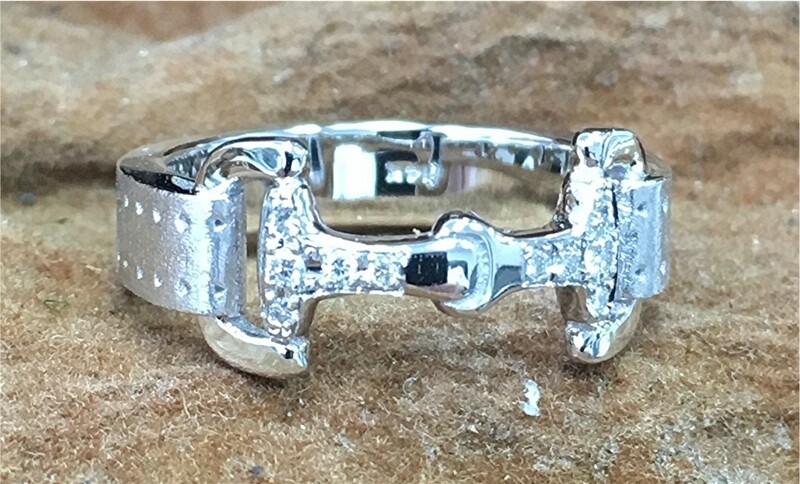 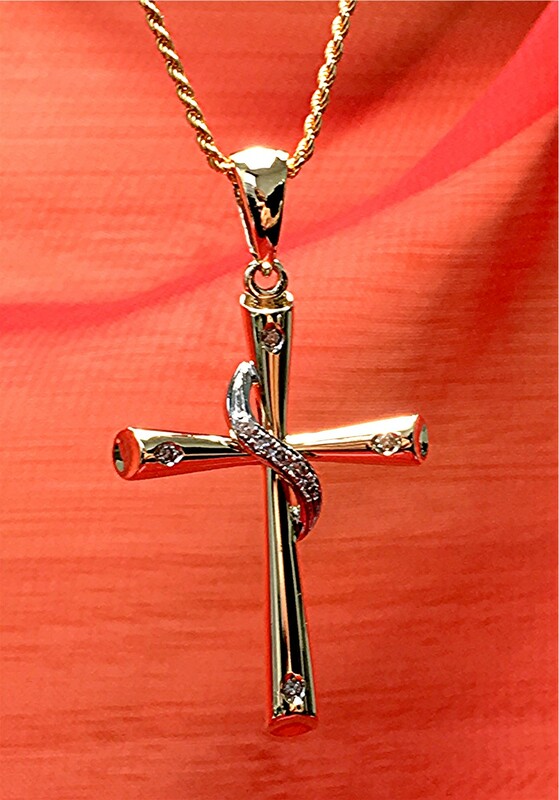 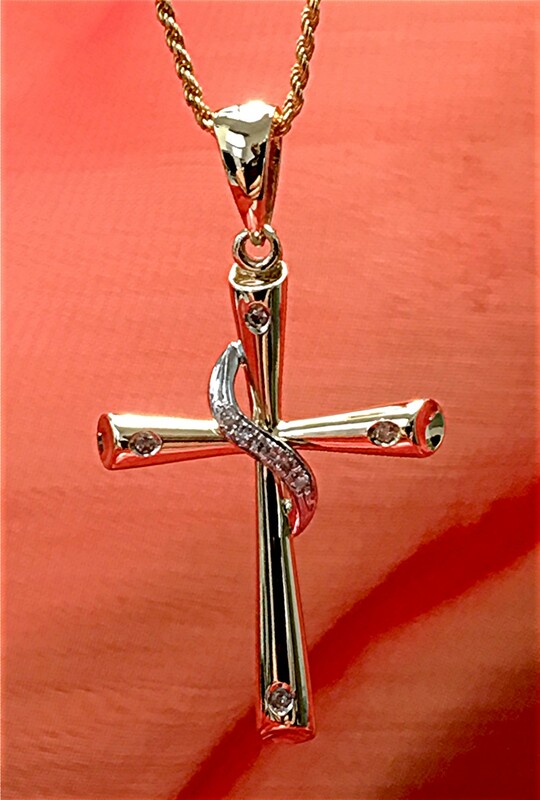 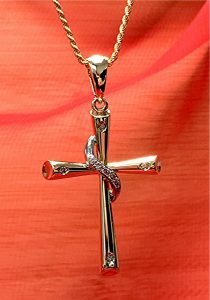 14k yellow gold cross with white gold trim in center, 40 millimeters long, with nine round brilliant cut diamonds. 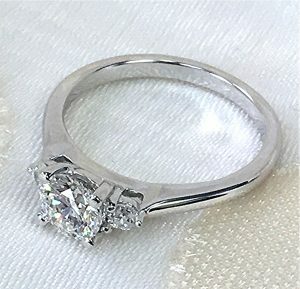 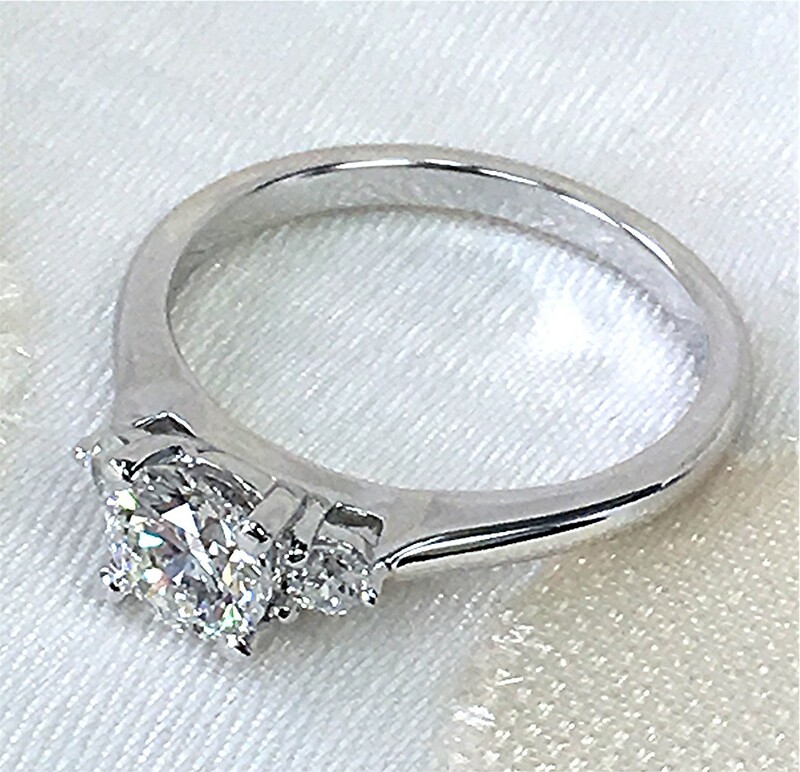 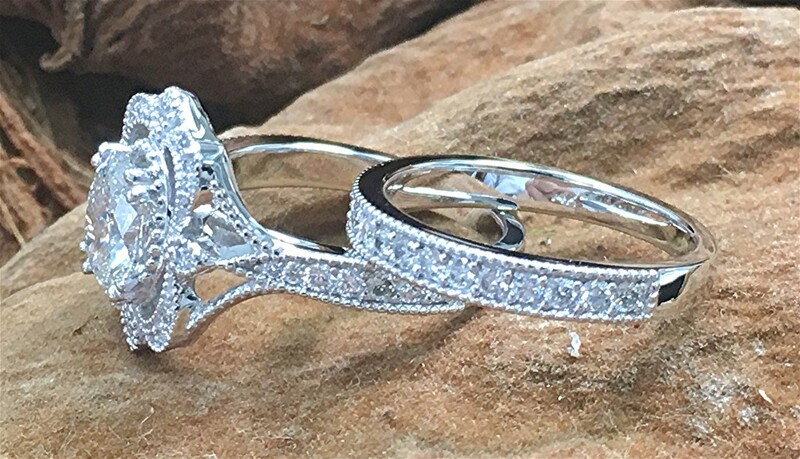 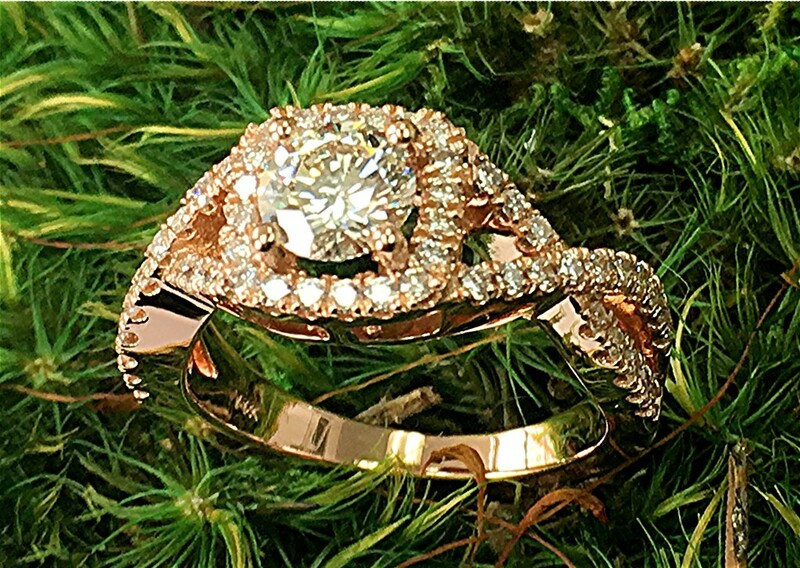 Ring has ten round brilliant cut , pave set, diamonds weighing 0.07ct. 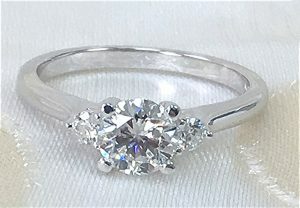 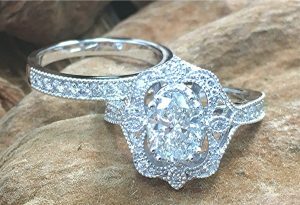 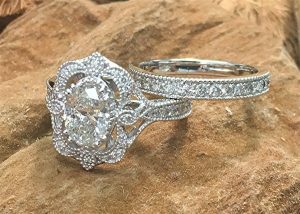 Center is 1.01 carat GIA certified diamond mounted on 14k mill grained designed ring with 30 round brilliant cut, bead set, diamonds weighing 0.37 carat. 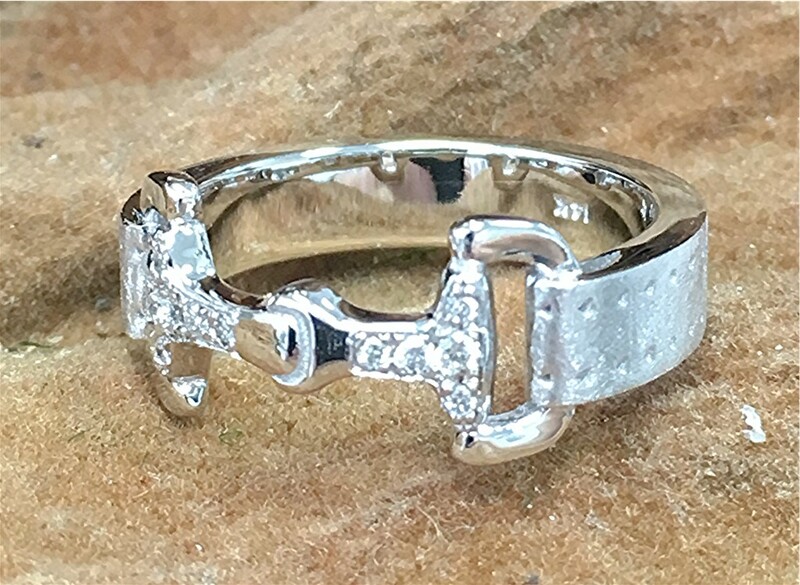 Straight matching band has 19 RBC diamonds weighing 0.37 also.